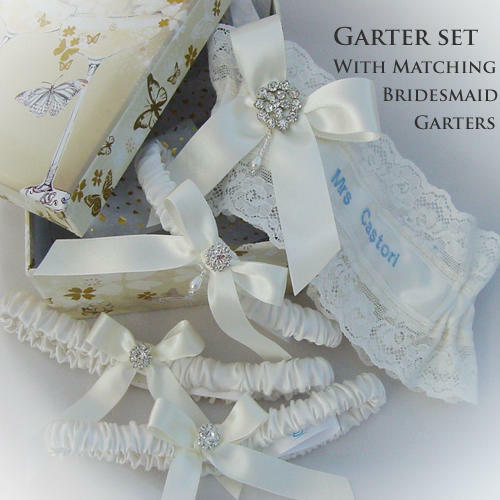 Treat Your Maids to Gorgeous Matching Garters they'll feel so Special! 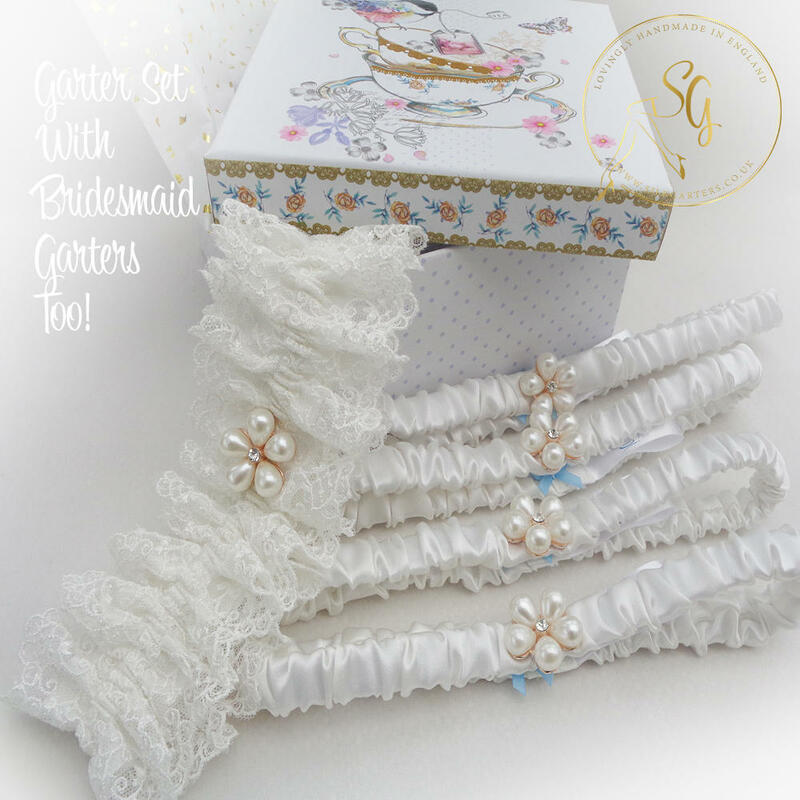 Treat your bridesmaids to garters too! 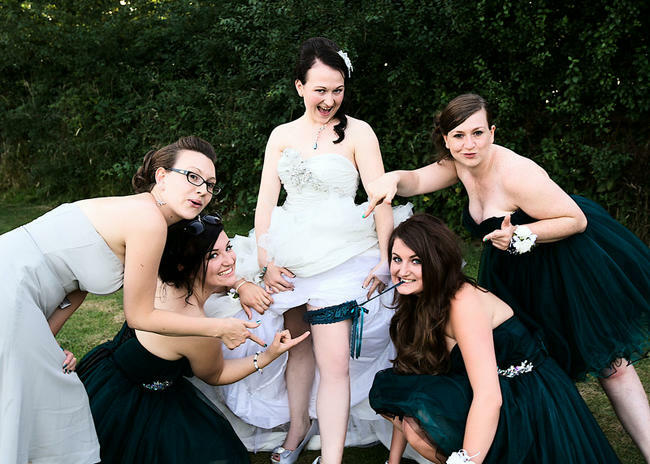 There are lots of great photos on pinterest and blogs where the bridesmaids have decided to wear garters and join in the fun! Lauren chose our Deep Teal wedding garter, a perfect match for her bridesmaid dresses! This is a beautiful set we were asked to make, for a wedding this summer. The main personalised wedding garter is our 'Designer Silk' there is a dainty little matching garter to toss and two co-ordinating bridesmaid garters. 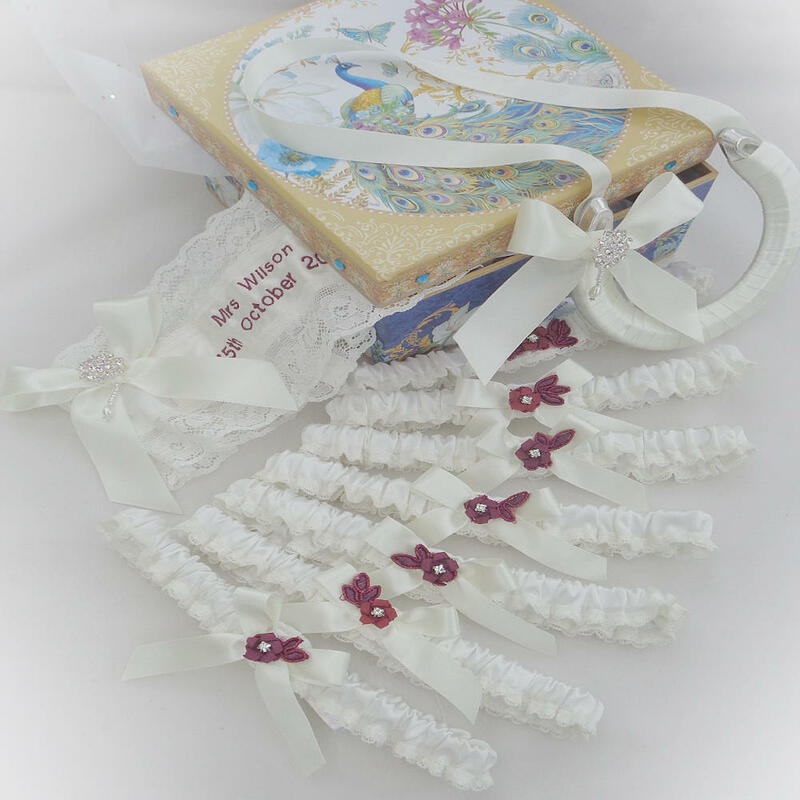 This is a lovely garter set and your bridesmaids have a luxurious keepsake of your wedding too! WILL YOU HAVE A GARTER PHOTO? 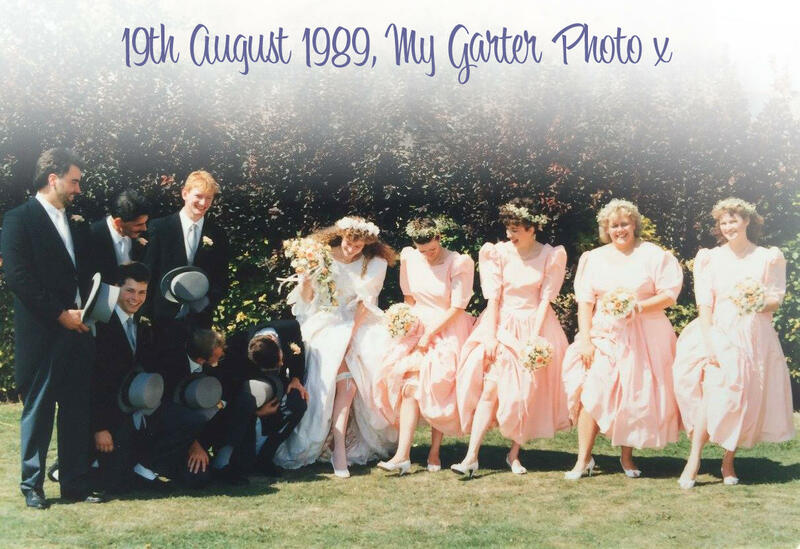 This is a wedding photo from 1989, the days of big hair and big dresses! Get the groomsmen involved and you will have everyone laughing, making a really fun photo for the album! 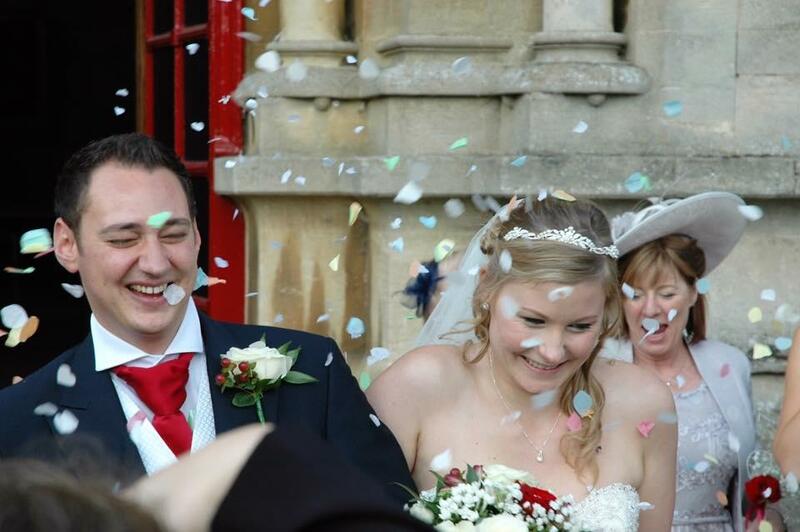 A groom bought three of these garters for his bride and her maids, for a Cornish wedding. He was looking for the Cornish colours black and gold to tie in with their 'Steampunk' theme. At the time we didn't have the Cornish tartan (we do now) but these garters are really special. The garters are hand stitched with hundreds of tiny seed beads and droplets adding a lovely drape to the garter. much. I'm sure that the bride will be thrilled with them.